Outfield Play is much different than playing the infield and demands a player has certain Skills and physical abilities, which an infielder may or may not possess depending on his position. 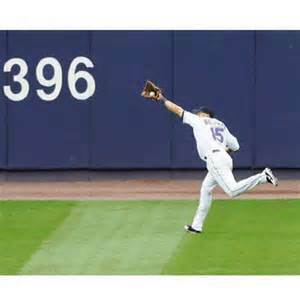 The very first ability an outfielder must have is foot speed. That doesn’t mean he has to be the fastest runner on the team, but he must be able to cover a lot of ground in order to catch balls hit to the outfield. This is especially true of the center field position, as he is technically actually responsible to cover the entire outfield, from foul line to foul line, either in a catching mode or a back up mode. This of course in reality is impossible, but the center fielder must be the fastest outfielder as he has the most ground to cover regarding balls hit into the gaps. This type of foot speed is only required of the shortstop on the infield, with the second baseman being relatively close behind. Outfield play requires a strong throwing arm for obvious reasons, the distance of the throws. Although the ideal situation is for all 3 of the outfielders to have outstanding throwing arms, the player with the best arm is normally always placed in Right Field. The short version of why this is done … the right fielder has the longest throw to third base … and the shortest throw to home plate. That may sound odd, but … with an average speed runner on first base, a base hit to left or center field will not normally allow the runner to advance to third base without fear of being thrown out. However, due to the distance a player must throw the ball from right field to third base, most runners will try to advance to 3rd base unless the right fielder has an outstanding arm. With an average speed runner on second base, a base hit to left or center field will most likely result in the runner being able to score, unless it’s a rocket hit directly at the outfielder. However, a standard base hit to right field, assuming the ball is fielded cleanly, etc, etc, can most often result in the runner being thrown out at the plate if the right fielder’s arm is strong and accurate. This type of arm strength is not an absolute requirement for the infield except for the shortstop and third base position. In this case I’m not including the catcher or pitcher as part of the infield although technically they are. The following teaching links will exam the intricacies of playing the outfield, including tips on dealing with sun and high sky issues.